Mexican Cuisine | Love. Eat. Music. FOOD. Who doesn’t love food? Yesterday was one of my most marvelous days ever, even though I felt like I was going to explode. My mom and I dominated the kitchen. We made hamburgers, Chicken cutlet sandwiches, a Mexican dish called “Pipian verde” with black beans and green rice (I know what you’re thinking ‘eww green rice’ but NO it’s delicious trust me). 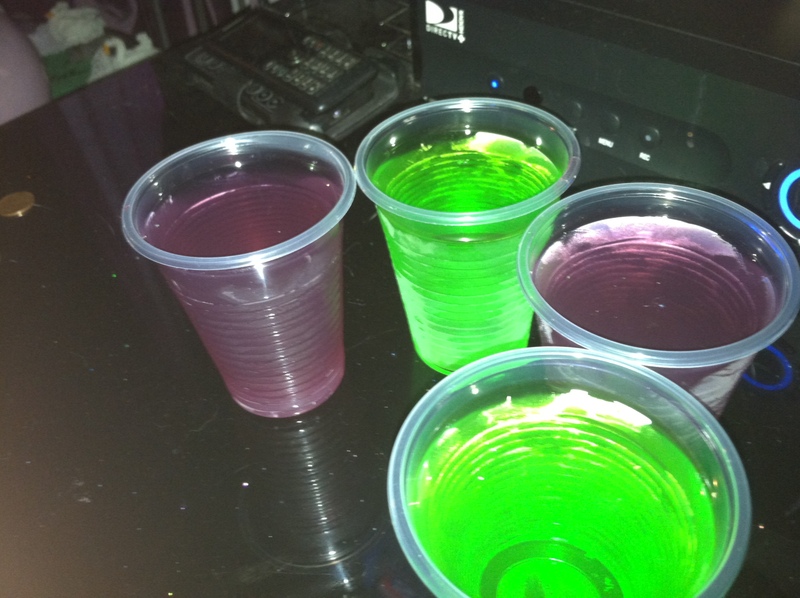 To top it off we made JELL-O!! Pipian verde is a Mexican dish. This dish includes green tomato, green pepper, sesame seeds, onions, garlic,and a Mexican pepperleaf. Combine these together at a right temperature and you make this delicious plate. If you want the recipe don’t hesitate to ask. 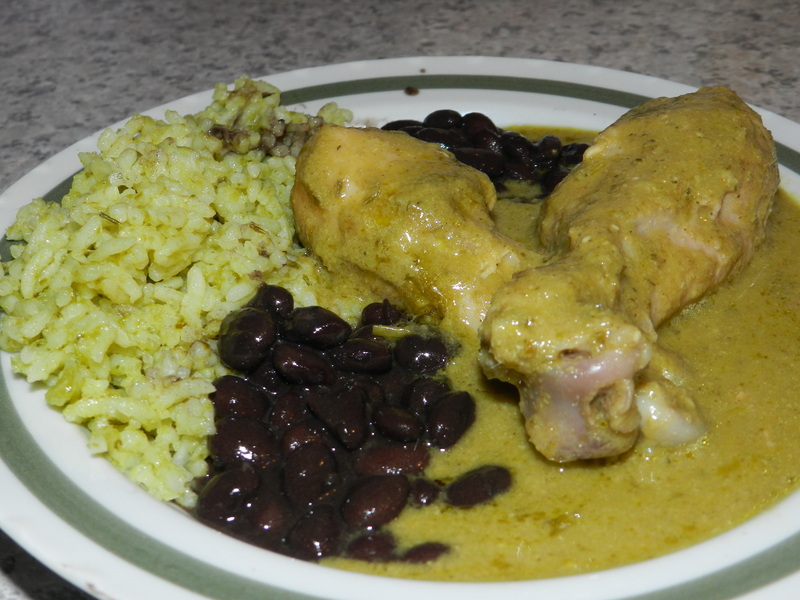 Here is a picture of the Pipian verde with green rice and black beans. Green rice is sort of similar to white rice but it has a kick of green pepper which adds more flavor to it and my god makes a hell of a dish. 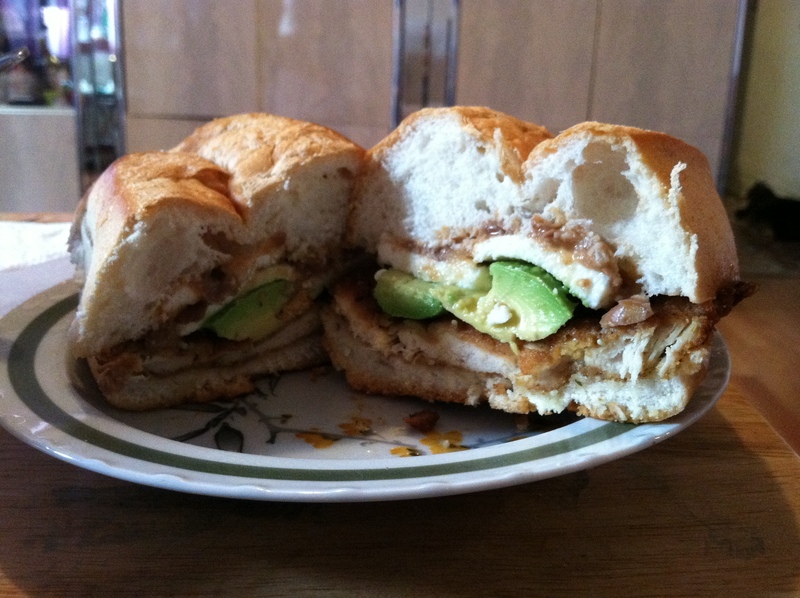 This is a chicken cutlet sandwich. Or as we say in Spanish “Torta de Milanesa de Pollo”. In case you don’t know, a chicken cutlet is a slice of chicken that has been breaded and then fried. In this case then put in a sandwich with mashed beans, cheese, avocado and mayo. ( Of course bread.) This is easy to make and very delicious. 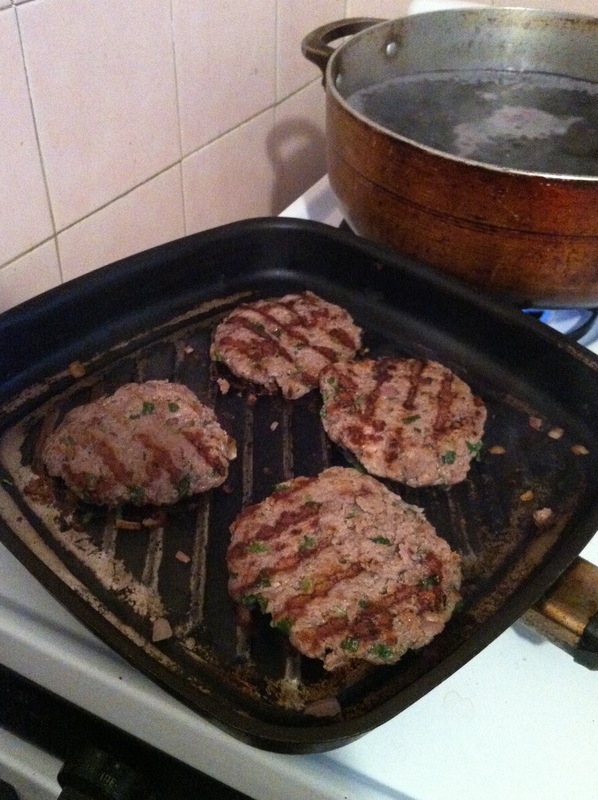 We also made Cheeseburgers! If you look at my previous post you shall see a picture of my magnificent cheeseburger. Yum! 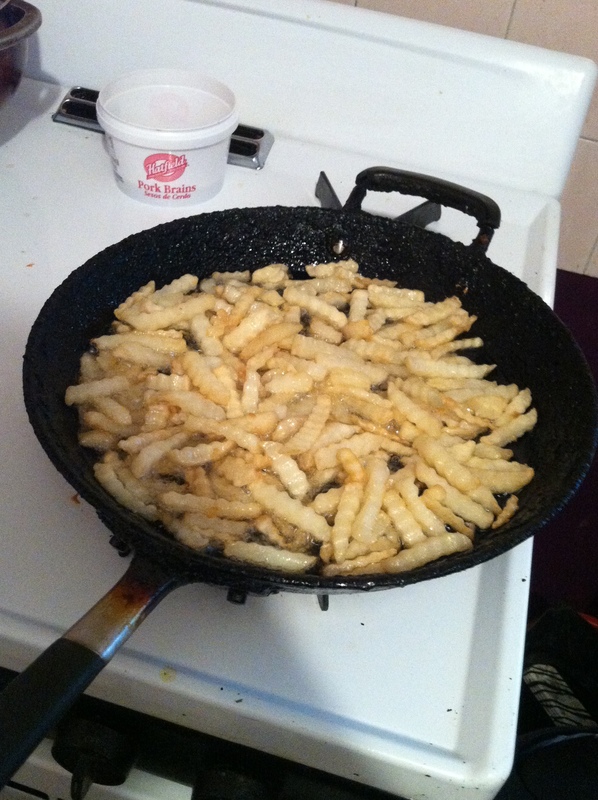 Here are some pictures of the hamburgers and the french fries on the pan 😀 .